Today’s main news: SoFi reports $200M loss in Q2. OnDeck jumps 18%. LendingClub sees record net revenues in Q2. Alipay fined for regulation violations. Dianrong raises $40M. Even Financial raises $18.8M. Today’s main analysis: OnDeck’s Q2 2018 earnings presentation. Today’s thought-provoking articles: GreenSky, OnDeck, LendingClub earnings. Where did it go wrong for Wonga? OnDeck’s Q2 earnings presentation. SoFi reports $200 million loss in Q2. SoFi has had to write down underperforming loans. OnDeck jumps 18%. OnDeck has been on a slow and steady climb since it hit trouble a couple of years ago. It’s looking better all the time. OnDeck reports Q2 earnings. See the actual earnings presentation for yourself. Great charts, great Q2 results. OnDeck’s stock rose 25% on Tuesday. LendingClub hits record net revenues. After a bad year for marketplace lending, are we beginning to see a turn around for the industry? With OnDeck and LendingClub both on the rise, we can hope so. GreenSky, OnDeck, and LendingClub Q2 earnings. Lend Academy breaks it down as only they can. Even Financial raises $18.8 million from Goldman and others. Great capital raise. Congratulations. What’s missing from the OCC fintech charter? Can Zelle beat Venmo with bank backing? U.S. Treasury urges mortgage sector to embrace digital technology. RealtyMogul sells properties for digital investors. Zillow acquires Mortgage Lenders of America. DriveWealth, Bambu launch robo platform for registered investment advisors. RateSetter says FCA marketing restrictions are disproportionate. Wonga’s reputation, not regulation, killed it. Augmentum receives 3.5 million GBP boost from Zopa. LendInvest makes changes to BTL product. Why brokers should be allowed to speak to decision makers. Cambridge Centre for Alternative Finance’s research study. Alipay fined for regulation violations. Dianrong raises $40 million. There’s still positive news coming out of China. Australia: Financial advice institutions to refund over $800 million. Israel: Visa invests in Behalf. International: Prime Trust to enable real estate syndicators, securities issuers to accept crypto. International: TransUnion partners with EXL on Current Expected Credit Loss solution. OnDeck (NYSE:ONDK) surges 18% in early trading after reporting Q2 adjusted EPS that beat consensus by 8 cents and boosting year adjusted net income guidance to $30M-$36M. OnDeck today announced second quarter 2018 Net income of $5.8 million, Adjusted Net income of $10.0 million and Gross revenue of $95.6 million. Net income was $5.8 million, or $0.07 per diluted share, improved from the Net loss of $1.5 million, or $0.02 per diluted share, in the year-ago period. Adjusted Net income was $10.0 million, or $0.13 per diluted share, compared to Adjusted Net income of $4.7 million, or $0.06 per diluted share, in the year-ago period. Unpaid Principal Balance grew 3% sequentially and 8% from a year ago to $1,027 million. Originations of $587 million were consistent with the prior quarter reflecting an increase in the number of loans funded and decrease in the average loan size. Originations increased 26% from a year ago with growth in both term loans and lines of credit. Gross revenue increased to $95.6 million, up 6% from the prior quarter and 10% from the year-ago quarter, driven by higher Interest income. The Effective Interest Yield was 36.1%, up from 35.6% in the prior quarter and 33.5% in the year-ago quarter, primarily reflecting increases in average loan pricing. Adjusted Net income between $30 million and $36 million, up from between $18 million and $28 million. See OnDeck’s full Q2 2018 earnings presentation here. Shares of On Deck Capital (NYSE:ONDK) were soaring by nearly 25% as of 1 p.m. EDT on Tuesday as the company beat consensus earnings expectations in the second quarter and raised its outlook for the remainder of the year. Now, the top-line numbers are improving. Second-quarter figures released after market close on Tuesday showed record net revenue, up 27 per cent from a year earlier at $177m, from record quarterly loan originations of $2.8bn. On top of all that, there was a big writedown this quarter of an acquisition made four years ago, during an ill-fated push into supplying loans to medical patients. Over the first six months, total expenses came to $1.28 for every dollar of net revenue. GreenSky went public just a few months ago on May 24, 2018. Their IPO was significant for a couple of reasons. One was the lack of US based fintech IPOs over the last few years and the second was that GreenSky is a wildly successful business. Last year they reported $139 million in net income on revenues of $326 million. OnDeck reported net income of $5.8 million for the quarter with gross revenues of $95.6 million, up 10% year over and 6% from the previous quarter. Originations grew to $587 million, up 26% from the prior year period, but down slightly from the previous quarter. 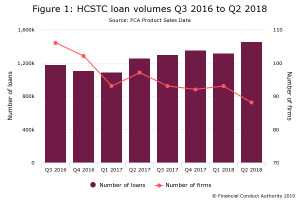 The company’s trend of increasing the number of loans funded and decreasing the average loan size continues. CEO Scott Sanborn noted that LendingClub’s core business is firing on all cylinders with record revenue and originations. The company has seen a 50% increase in applications year over year. Originations were $2.8 billion, up 31% year over year and up from $2.3 billion in the previous quarter. For context, the company originated their last high water mark of $2.75 billion in the first quarter of 2016. Revenues came in at $177 million, up 27% year over year. Although the OCC emphasizes that it’s holding these special-purpose charters to standards equivalent to those demanded of national banks, this is only sort of true with regard to the named prudential requirements, and it looks to be completely incorrect on critical restrictions on competitive and financial risk. These omissions have significant consumer protection, safety and soundness and structural impacts. Absent egregious violations, a charter granted cannot be revoked. The OCC should be sure it isn’t a shadow-bank enabler before it hands out these high-powered charters. Rahul Chadha follows peer to peer mobile banking for the research organization eMarketer. His firm says Zelle will overtake Venmo this year. Chadha spoke with Marketplace’s Lizzie O’Leary about the two payment systems. A digital bank created by an established US-based financial services player Customers Bancorp. BankMobile opened for business in early 2015. It caters mainly for students and offers a low-fee checking account with no monthly fees and no overdraft/non-sufficient funds (NSF) fees. It also provides personal loans. Founded in 2014, Chime has raised over $100 million funding to date, values the business at around $500 million and has over one million accounts. It employs around 100 people. Endeavor Bank opened its doors for business in San Diego, California in January 2018, following an initial capital raise of $26.6 million and the backing of over 450 investors/owners. It is a brand new bank, with no merger legacy. Finn is a digital bank account for smartphones created by JP Morgan Chase. GoBank was launched in 2013 by Green Dot Corporation, which claims it to be “the first bank account designed from scratch to be opened and used on a mobile device”. Iam Money has its HQ in Chicago and an office in San Francisco. It also has two offices outside the US, in Dublin and London. It has secured $3 million of funding, and plans to have $20 million when it launches. A start-up bank for the Ethiopian American community, based in the Washington DC area. Its founders are Tekalign Gedamu, a retired economist and former MD of the Development Bank of Ethiopia, and Tesfaye Biftu. An online platform launched by Goldman Sachs – named after Marcus Goldman, one of the firm’s founders – offering no-fee personal loans and high-yield savings to consumers. Launched in 2011 by Brett King, Moven describes itself as “the world’s first real-time mobile money tool”. It is a digital bank account with a mobile app. A challenger bank from Germany, now working on its US presence, including obtaining a banking licence. It opened early access to users in the US in October 2017 and has an office in New York with eight staff. PurePoint Financial was launched in early 2017 by MUFG Union Bank. It is a “hybrid digital bank” offering savings accounts and certificates of deposit (CDs). European banking challenger Revolut opened early access to users in the US in September 2017. It says it aims “to clean up the American banking system”. It provides digital banking services to consumers and businesses. Digital banking service Simple was founded in 2009 in Portland, Oregon. It describes itself “a tech company, not a bank”. In early 2014, it was acquired by BBVA Compass for $117 million. In early 2017, it raised another $500 million, and spent $100 million (in stock) on Zenbanx, a mobile banking start-up. Zenbanx offered a mobile account in the US and Canada that lets people save, send and spend money in multiple currencies. This deal demonstrated SoFi’s interest in branching into other financial services, with a wealth management tool in beta at the time of the acquisition. In early 2018, Stash raised $37.5 million in Series D funding for product expansion, and shortly afterwards teamed with Green Dot Corporation and its subsidiary bank, Green Dot Bank, to launch mobile-first banking services (underpinned by Green Dot’s Banking-as-a-Service platform). In 2017, Tennessee-based Studio Bank filed an application to become Nashville’s “first newly chartered de novo bank in nearly a decade”. San Francisco-based mobile banking service Varo Money was founded in 2015. It applied for a national bank charter and federal deposit insurance in mid-2017, to form Varo Bank. The Treasury Department’s recent report on how to regulate nonbanks drew praise not just from tech startups but also from mortgage industry insiders. In addition to recommendations for a new federal fintech charter and that regulators pull back from payday lending rules, the report contained a section that might be music to a mortgage banker’s ears, including support for the industry’s automation efforts and another call to soften the use of the False Claims Act against lenders. Mortgagetech company Blend is venturing into insurance. The San Francisco-based company launched Blend Insurance Agency, an extension of its digital mortgage platform that offers borrowers a range of options for homeowners insurance. The first property is a 1,242-unit self-storage facility in Fayetteville, NC. It was acquired in December 2013 and sold in January 2018. It was acquired for $6,750,000 and sold for $9,645,000, representing a 43% increase in capital value from acquisition. The second property is a 40,000-square foot office building in Tamarac, FL. It was acquired in May 2016 and sold in February 2018. It was acquired for $4,150,000 and sold for $4,900,000, representing an 18% increase in capital value from acquisition. The third property is a 72-unit multifamily apartment building in Ogden, KS. It was acquired in July 2013 and sold in April 2018. It was acquired for $4,000,000 and sold for $4,450,000, representing an 11% increase in capital value from acquisition. The fourth property is a 208-unit multifamily apartment building in Euless, TX. It was acquired in February 2015 and sold in May 2018. It was acquired for $12,375,000 and sold for $20,900,000 after a value-add renovation program, representing a 69% increase in capital value from acquisition. Zillow, the publicly traded real estate portal and lead generation service, has acquired Mortgage Lenders of America. This is Zillow’s first move into originating mortgages. DriveWealth Holdings, Inc. (“DriveWealth”), a fintech company providing brokers, digital advisors and mobile online financial services companies seamless access to the U.S. securities market, and Bambu, a global provider of robo-advisory technology, today announced the launch of a white-label, end-to-end robo-advisory platform solution for the wealth management industry. To be considered for admission, applicants must complete the nine-page application and pay a $500 application fee. Each application must be for an innovative financial product or service as defined by the enabling legislation. Just when things were meant to be getting better for Wonga, it emerged at the weekend that the payday lender’s investors had to rescue it with a £10m capital injection. The emergency fundraising is the latest episode in Wonga’s rapid rise and fall. Just six years after the company was touted for a flotation that would have valued it at more than $1bn (£770m), it is reported to be worth just $30m. WHEN PAYDAY LENDER Wonga launched in 2007, it was tipped to become a £1bn success story. Today, the company is worth just £23m and has only managed to avoid insolvency thanks to a last-minute £10m boost from investors. So what went wrong? Augmentum Fintech (AUGM), the venture capital fund spun off from RIT Capital Partners (RCP) earlier this year, has received a £3.5 million boost from the revaluation of peer-to-peer lender Zopa. The specialist lender has removed its requirement for a debenture or floating charge on limited company applications. It has also reduced its ICR assessment rate to 5% across all products with the exception of the five-year fixed interest product, which remains at 4.19%. Roy Armitage, head of credit at LendInvest (pictured above), is clear that, for a specialist lender, a good working dialogue between the underwriters and the brokers placing the business is crucial. They are winding up their largest survey ever right now. In the past they have produced multiple reports targeting the various regions around the world including: the United Kingdom, Europe, the Americas, Asia and Africa. This year they are combining everything into one big study. If you have not participated in the survey yet time is running out (while the survey says it closes on July 22nd, they have extended the deadline for another week or so). We need every platform in this country and around the region to participate. To learn more you can read more about this comprehensive piece in Crowdfundinsider or explore the survey questions before actually answering the survey. Chinese P2P lending platform Dianrong announced that it has raised $40 million of funding from Dalian Financial Investment Group Co. Ltd. The current round will increase the company’s total funds raised to date to over $500 million. Its previous investors include big titles such as Standard Chartered, GIC Private Limited, Singapore’s sovereign wealth fund, CMIG Leasing, Simone Investment Managers, etc. China’s P2P lending meltdown from CNBC. Prime Trust, a blockchain driven trust company, announced on Monday it has launched a new technology that enables real estate syndicators and securities issuers to accept funds from investors in the form of Bitcoin and Ethereum, frictionlessly and with zero crypto-market risks to the syndicator or issuer. According to Prime Trust, the technology enables holders of these virtual currencies to invest in real estate, crowdfunding and other private and public securities offerings without having to go through the cumbersome and often confusing process of liquidating tokens and then wiring funds in USD to an escrow account at Prime Trust. TransUnion TRU, +0.56% announced today it is partnering with global technology and analytics company EXL EXLS, +0.93% to create a seamless technology solution for lenders to comply with the new Current Expected Credit Loss (CECL) accounting rule. Information about the new accounting rule will be highlighted during TransUnion’s webinar, “Major Hurdles to Overcome to be CECL-Ready,” scheduled for 1 p.m. CDT on August 15. As the revelations from the Royal Commission continue to pour in, the Australian Securities and Investment Commission (ASIC) has revealed that, in total, Australian financial advice institutions will refund customers over $800 million in reparations over fees for no service (FFNS) programs. Launched in June 2018, the bank is led by former ANZ Japan CEO, Robert Bell, and ex-Cuscal Payments CIO Brian Parker. Joining as incoming chairman is Anthony Thomson, co-founder and former chairman of Atom Bank and Metro Bank. For its tech, it uses a variety of different vendors. Unifii’s Business Transformation Platform is used for its technical infrastructure. For its small business lending platform, it will use one from Realtime Computing, based in Perth, Australia. Digital banking start-up Pelikin aims to reshape the way people save, send and spend their money in Australia and while travelling abroad. The company’s slogan is “spend like a local”. The founder is Sam Brown. Unveiled in 2008 and developed and supported by National Australia Bank (NAB). It operates under NAB’s banking licence, and offers home loans, online savings accounts, and term deposit accounts. UBank has more than 400,000 customers. Sydney-based Volt Bank was given Australia’s first new restricted banking licence and is now working towards becoming a fully licensed bank. The neobank emerged from the shadows to unveil its plans for a mobile-only digital bank in 2017. It will have no bricks and mortar branches. Visa, Inc. (V) on Tuesday announced an investment and partnership with Israeli start-up, Behalf, to support small business growth through easy-to-access capital and financing.